Great pictures! I like the one of the van covered in stickers...that is certainly something else! This looks SO cool. I've never camped in such close proximity to so many people. You got some wonderful shots! the fried green tomatoes look good! I love the Bill Bryson book where he attempts to hike the Appalachian Trail. Very humorous. I have heard of the appalachian trail before! I love mountains and would have so enjoyed exploring the trail! And fried green tomatoes...mmmmm. I've heard of the AT. It always kind of intrigued me because of the sheer length of it, pretty phenomenal. I've never been anywhere close to the Trail, but of course I've heard of it. I'm with Elizabeth - those fried green tomatoes look delicious!! I'd be tempted to avoid the festivities, though - too many people. I love camping. We used to do that a lot before by my current work schedule is just terrible. I'm a great outdoor lover myself. Happy WW! I've most definitely heard of the Appalachian Trail :-) And my dad taught me the proper pronunciation :-) Never hiked it or been on it, though. Does that guy really sing AND make beat box sounds at the same time?! @Design Ties: YES! I was sitting on the stage right next to him.....staring in disbelief....it was pretty amazing!! Yes, my son and I have stood on the trail in VA where it crosses the BRP. One of my good friends has walked the whole thing and 1,000 miles of the Pacific Crest Trail. I'm so proud of him. He inspires me to keep doing more with my life. I have definitely heard of the Appalachian Trail. I would love to walk some of it. The festive looked excellent!! Your a better at adventure than I. If I slept on the ground, it would mess me up for weeks. I didn't catch if you had kids?? But, you would make a great mom being able to camp out. I had no idea there was a trail like that. Now that would be one heck of a hike! 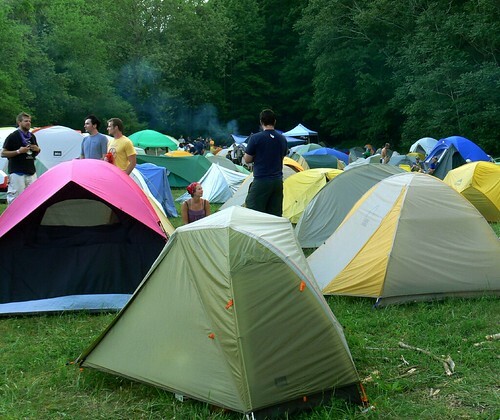 It looks like you had a lot of fun camping and at the festival. Thanks for sharing your photos! We camped at Mt. Rogers when we did the Virginia Creeper trails a few years ago. This looks like so much fun! Not only have we heard of the trail but have hiked small sections of it in Maine and NH. Maybe a thru hike is in our future somewhere. You had me at the first Fried Green Tomato. I know of only because of Bill Bryson's book about it.And I have a friend here in China who hiked from Virginia to Maine before he came to China. He loved the experience. 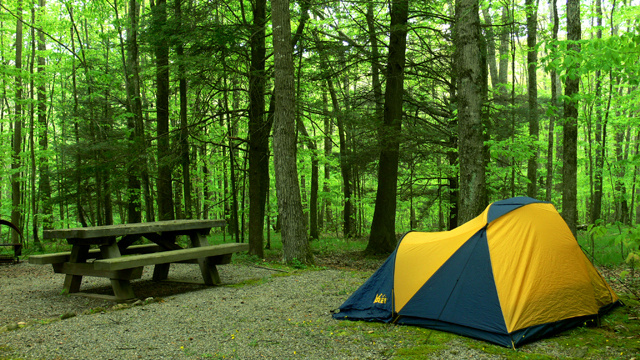 I'm with you on the separation of the tent. I don't like sleeping in a crowd. Tent city creeps me out. That looks fun! I've never been over there, but I've heard of it and know of someone who spent a long time (like a year?) doing the whole trail. 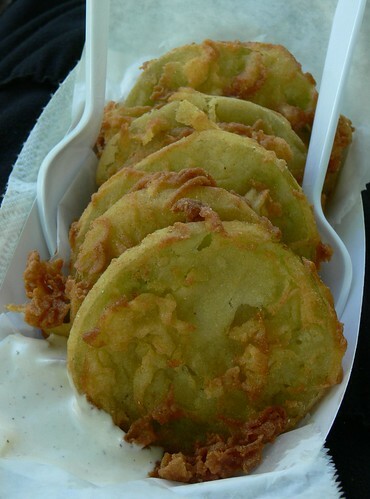 I've never tried fried green tomatoes they look delish!! looks like great fun. love the photo series. beautiful place ...loved the area to camp ...it has been since before kids over 20+ years ago! Sure have heard of the AT,... and would love to hike it. The Long Trail is another one, although much shorter at 270 miles north/south through Vermont. 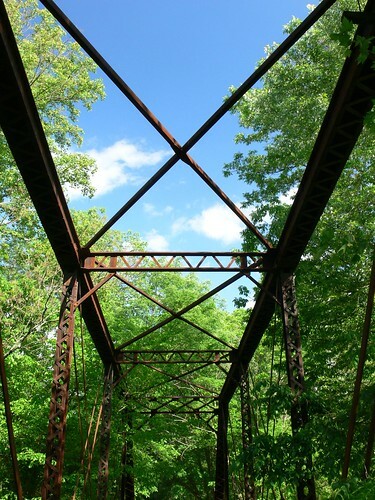 we live by the trail too (in lynchburg, virginia) and it's my husband's dream to hike it (someday...). I did not know about the festival and can't wait for next year to check it out. I certainly do know about the Appalachian Trail. Back in the summer of '80 I was interim pastor of a small church in Elk Park, NC. Hikers were always passing through the town, getting their mail and support shipments at the post office there, but some of them looked like they could use a home-cooked meal and a roof over their heads for a night or two. I cleaned out a large shed on the church property, and many of them stayed there, and seemed grateful for a chance at a hot shower, too. Being a young single pastor I was recipient to more local produce than I could possibly eat, so I cooked up hot meals and they regaled me with tales of the trail. It was extremely enjoyable, though not everyone in the congregation quite knew what to make of hikers in the pews on Sunday.